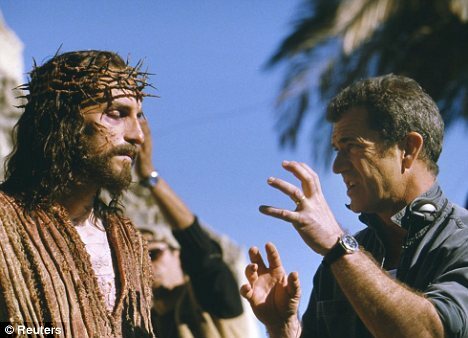 ‘Playing Jesus wrecked my career’: Passion of the Christ actor said Hollywood has shunned him. Since playing the son of God in the 2004 film he said offers had dried up and he is shunned by many within the industry. Although a box office hit taking more than $400million worldwide it was condemned as being anti-Semitic. Gibson, the film’s director, was later accused of making anti-Jewish remarks after being arrested for drink driving. Caviezel said he was warned against taking the part by Gibson who warned him he would never work in Hollywood again. 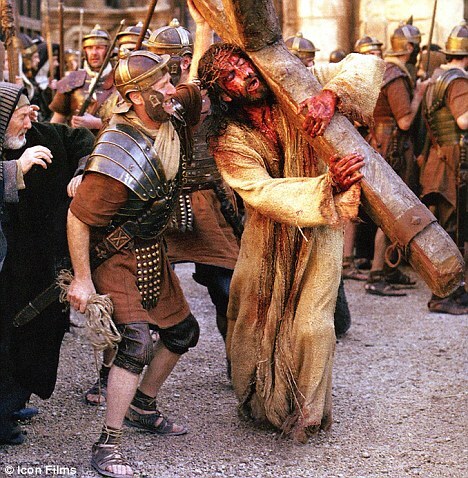 ‘He said, “You’ll never work in this town again.” I told him, “We all have to embrace our crosses”.’ Caviezel told an audience of churchgoers in Orlando, Florida. Since Passion of the Christ, the 42-year-old has only appeared in a handful of films. Prior to playing Jesus he was considered one of Hollywood rising stars and appeared in The Count of Monte Cristo’ and ‘ngel Eyes with Jennifer Lopez. One of his biggest hits was in 2000 with time-travel thriller Frequency opposite Dennis Quaid. Caviezel, a devout Roman Catholic, said he knew playing Jesus would be risky. Well I thought he wasn’t such a bad actor. 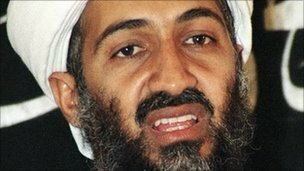 Christians should never rejoice at the death of a man, Vatican spokesman Fr Federico Lombardi has said following the death of Osama bin Laden in Pakistan yesterday. The world’s most wanted man was killed by US forces at a compound in Abbottabad, north-west Pakistan, following a tip-off dating back to last August. In a special press conference in Washington last night at 10.30 (3.30AM GMT) President Barack Obama announced that the Saudi-born fugitive, responsible for the September 11 attacks on the United States which killed 3,000 people, was dead. “Justice has been done,” the US president said. But Fr Federico Lombardi said in a statement this morning in Rome that we should not rejoice at the death of a human being. He said: “Osama bin Laden – as we all know – was gravely responsible for promoting division and hatred between peoples, causing the end of countless innocent lives, and of exploiting religions to this end. Crowds gathered outside the White House in Washington DC, chanting “USA, USA” after the news emerged. And then, why his death no longer really matter.